September 26, 2018: The inaugural edition of Beautyworld Saudi Arabia is approaching full capacity, with global suppliers of beauty products and wellbeing eagerly snapping up the exhibition’s last available slots ahead of its October 2018 debut in Jeddah. More than 120 exhibitors from around the world will descend upon the Kingdom’s dedicated trade fair for cosmetics, skincare, haircare, salon supplies, and fragrances, as they prepare a rousing welcome for thousands of Saudi trade buyers and beauty professionals. The maiden three-day event, co-organised by Messe Frankfurt Middle East and Saudi-based ACE Group, will run from 14-16 October 2018 at the Jeddah Center for Forums and Events. Ahmed Pauwels, CEO of Messe Frankfurt Middle East, which also organises the flagship Beautyworld Middle East exhibition in Dubai, said more than 90 percent of the available space at Beautyworld Saudi Arabia 2018 is already booked. “The unbridled enthusiasm among leading international brands to gain further access to the Middle East’s largest beauty and wellness market is understandable,” said Pauwels. “The retail value of beauty and personal care in Saudi is estimated to grow from US$5.7 billion in 2018 to US$6.9 billion in 2021, making it a key growth market. “The success of Beautyworld Middle East over the years in creating a highly effective business development and knowledge sharing platform is also a major factor behind the enthusiastic response to the brand’s inaugural foray into the Kingdom,” Pauwels added. Beautyworld Saudi Arabia 2018 will cover the five product groups of Fragrance; Cosmetics & Skincare; Hair, Nails & Salon Supplies; Machinery, Packaging, & Raw Materials; and Personal Care & Hygiene. The excitement surrounding the inaugural event is highlighted by the 16 Launch Partners on-board, including Firmenich, Symrise, International Flavors & Fragrances (IFF), Nazih Group, Sawaya International, Al Haramain Perfumes, My Perfumes, Identiscents, Neo Perfumes, Piramal Group, Creative Beauty Source, Oudh Al Anfar, Unitrade, Beauty Care Company, Sama Pharma and Forever 52 make up. UAE-based Nazih Group is one of the Middle East and North Africa’s largest distributors of professional haircare and cosmetics, and already has a large Saudi presence. The Group’s Managing Director Nazih Hamad said the launch of Beautyworld Saudi Arabia marks major milestone in the Kingdom’s beauty industry. “Studies show that Saudi Arabia is one of the main players in the Middle East and African beauty market and, in almost three decades, we’ve attested it,” said Hamad. “It’s also estimated the share of premium beauty products in the Kingdom will grow from 54 percent of the market in 2015 to 60 percent in 2020, a promising figure that shows that Saudi is still a greener pasture. The market is young and there’s more to explore. “With our 70 showrooms and numerous salon customers in the Kingdom, Nazih Group is the first choice of various beauty products and multi-national suppliers that want to enter Saudi Arabia,” added Hamad. Symrise is one of the world’s largest suppliers of Flavours and Fragrances (F&F), and another Beautyworld Saudi Arabia 2018 Launch Partner eagerly awaiting the show’s grand opening. With an 11 percent global F&F market share, and annual sales of more than €2.9 billion, the German-headquartered company is counting on more Saudi business for its fragrances, flavourings, cosmetic base materials and ingredients. Tarek Anbar, Regional Sales Director at Symrise for the Middle East, Africa, and Turkey, said the company wants to strengthen business relationships with existing clients while attracting new customers. “Saudi Arabia is the largest Middle East market and being an official launch partner for Beautyworld Saudi Arabia will put us in the position to further drive growth and cement our position as one of the leading Fine Fragrance companies not only regionally, but globally,” said Anbar. Beautyworld Saudi Arabia is the 5th Beautyworld event globally, following annual shows in Dubai (Beautyworld Middle East) and Japan (Beautyworld Japan, Japan West, and Japan Fukuoka). It arrives as consumer and professional spending on Beauty and Personal Care (BPC) continues to rise. 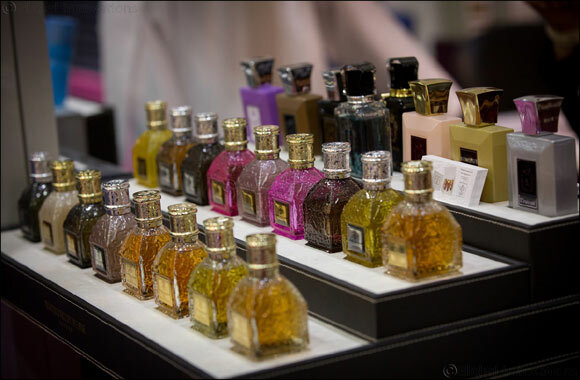 According to analysts Euromonitor International (EMI), Saudi consumers are likely to spend US$2.1 billion on fragrances in 2021, compared to US$1.8 billion in 2017, making it the Kingdom’s top BPC product category. Haircare (US$784 million), and skincare (US$713 million), were also high value categories in 2017, along with Men’s grooming (US$559 million), and colour cosmetics (US$561 million). Solid growth is predicted across all BPC categories through to 2021, according to EMI. Beautyworld Saudi Arabia will be a key networking and knowledge sharing platform for the beauty and wellbeing industries, offering Saudi distributors, retailers, and beauty professionals the ideal stage to source products and solutions from leading international and local suppliers.